Reo Kobayashi and his mother, Miyuki, were in a daze on Admitted Students Day. 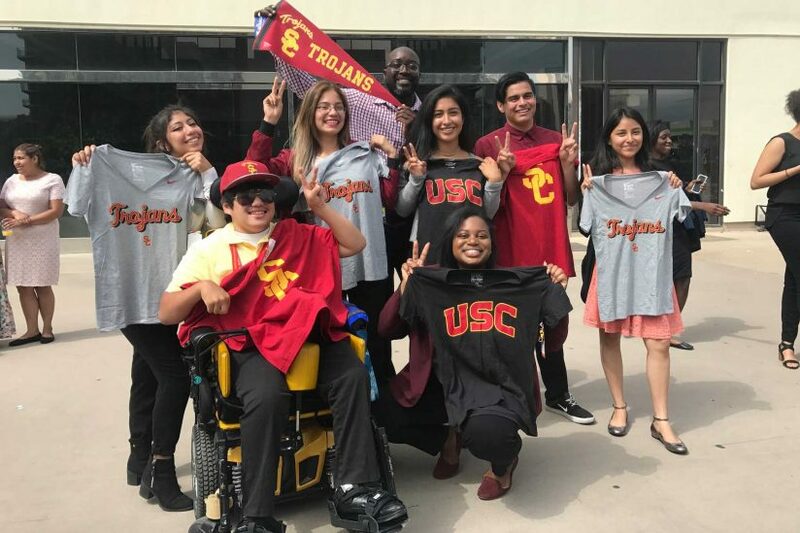 They screamed and cried when they opened the online portal to find an acceptance letter congratulating the teen on getting into USC, but it still didn’t feel real. Time and again his mother had heard that, due to Kobayashi’s cerebral palsy, he did not have the learning capabilities to get a high school degree, and now he was on the campus of his favorite university as a prospective student. 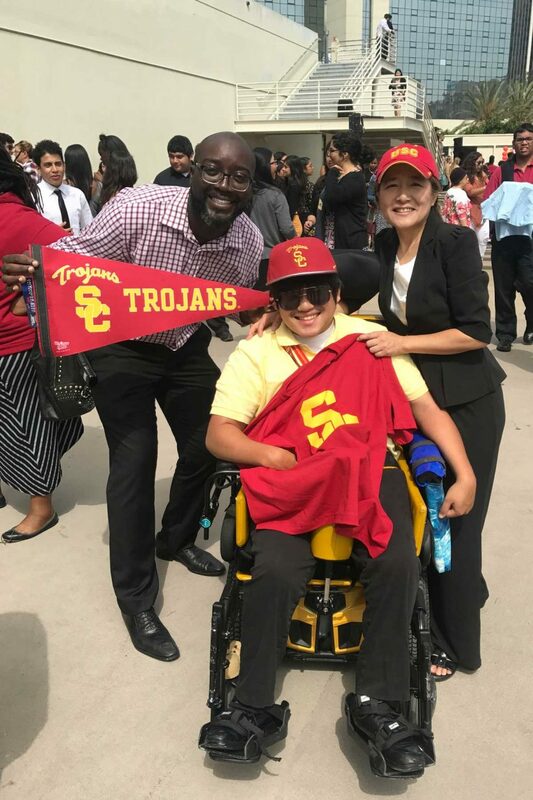 Kellie Graham, a USC admissions counselor, spotted his wheelchair and went over to ask if he was “The Speaker,” a reference to his public speaking ability, one area unaffected by the brain damage he suffered before or at birth. The personalized learning Kobayashi got at USC Hybrid High School, from which he will graduate on June 10, changed his trajectory. Kobayashi was born two months premature with cerebral palsy on Mother’s Day, 1999. His movement is severely limited, he cannot see well, cannot type or read a textbook, and damage to the left hemisphere of his brain affects his math calculations. The disability created challenges for his learning, but his mother refused to accept that her son couldn’t have the level of education afforded other children. She could see that he was smart. He could think, he could talk and he could listen. In Tokyo, where he was born, she was told that he had to go to a special education school. So she came to the United States in the hope of finding better educational opportunities. Even in the U.S., she continually had to fight for her son’s future. In the fourth, sixth and eighth grades, school administrators said he needed to be put on a special education track that led to a certificate rather than a high school diploma. “They thought there was no way to teach him,” Miyuki said. She hired a lawyer to help keep her son in a general classroom setting. In her exhaustive research into educational opportunities, Miyuki heard about schools that blend technology adapted to a student’s needs with traditional learning. She thought that, with proper assisted technology, her son could find academic success. Then, in 2013, she saw that USC Hybrid High had just opened in downtown Los Angeles. Miyuki went to her first meeting with the school’s administrators armed with a lawyer and a stack of materials prepared to defend why her son should be admitted. There was no need. At the time, USC Hybrid was accepting every student who applied (now with a waiting list, students are chosen by a lottery). 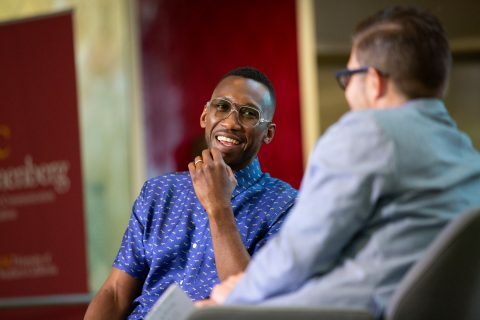 As long as he met the high expectations for school culture and was committed to working hard and getting into college, they would get him there. Ednovate did a full-on assistive technological assessment and took a holistic approach to aid Kobayashi’s physical condition as well as his access to learning. The school provided him with a computer, monitor, medical equipment and software that performed functions such as speech-to-text for him to do assignments. Kobayashi also was provided a one-on-one aide, David Hernandez, who pushed him to expect more from himself. 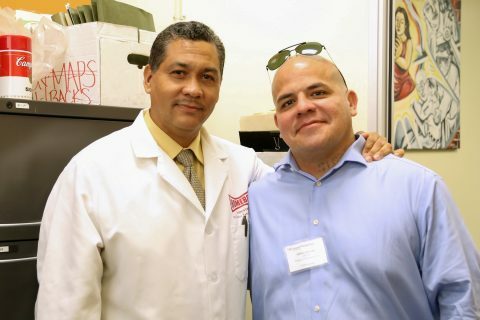 [His aide] Mr. Hernandez was the first person who pushed me to try harder. He knew I was smart even before I knew how smart I was. Kobayashi intends to study communication and journalism at USC. One day he would like to conduct interviews like his idol, Barbara Walters. The group has an amazing 100 percent graduation rate — and a 100 percent college acceptance rate, too. 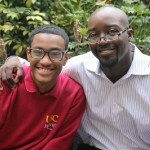 Prior to joining Hybrid High, Mide Macaulay served as founding dean and assistant principal at Animo Locke II Charter High School. USC alumna Alejandra Mendoza was so impressed by USC Hybrid High School that she convinced her father in Mexico to let her 14-year-old sister move in with her to attend the Los Angeles charter school. 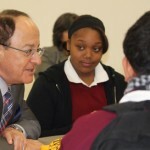 USC President C. L. Max Nikias made his first visit to USC Hybrid High School, touring classrooms where groups of students worked intently.